Dark Kat kidnaps seven kittens from MKC to give to a kat named Lin Kuei. Now, the only thing is what are they needed for?? Mortal Kombat cross-over/fusion. This fan fiction will follow events that happened in Mortal Kombat. So some characters will be off of Mortal Kombat and have the same background. But trust me this has nothing to do with Mortal Kombat..like the fighting and all. Just got some cool ideas from the game Mortal Kombat Trilogy and the tv show Mortal Kombat Conquest. This entire Saga is dedicated to my true love, Jake Bridges. Who has made my life so happy and much more worth living. I love you, Jake Bridges! Between this saga and Saga 1 is basically 5 years have passed. Dusty is 8 years old and Jake and Felicia had another kitten. Her name is Victoria and she is 5 years old in this saga. Also Chance and Isis got married and had a kitten also who is 5 years old also, his name is Matthew. It was the Saturday night of the Megakat City Fair. Felicia, Jake, Chance and Isis had decided to come that night since it was pay $12.00 and ride all rides unlimited times. Felicia had brought Dusty since he wanted to come so badly and she left Victoria and with her Grandmother, Claire who lived on Anakata Island. “Hey, Chance…how about we ride the Zipper?,” asked Jake as he started to lead the way to the fair’s scariest ride, the Zipper. The Zipper was about 20 feet tall with carts on both side of it. It would start turning horizontally and the carts would flip around. Jake grinned, thinking to himself that Chance was scared. “What’s the matter, buddy? Is this ride too scary for a hotshot pilot?,” he asked teasingly. He knew that would get Chance to ride the ride. “Oh..me scared? Yeah right. You’re on buddy and you get the gold cart,” Chance responded as he grinned back even bigger at Jake. “Ha! That won’t scare me,” said Jake as he walked towards the back of the line with Chance tailing him. “Hey, Chance. I am going with you, “said Isis. “I’ll stay here, Jake. I’ll look after Dusty and Matthew, “said Felicia as she stood back while holding Matthew and Dusty’s paws. “Mommy, I am thirsty,” said Dusty as he tugged on Felicia’s shirt. “I’m going to get us some drinks,” Felicia called to her friends as she turned and walked towards the concession stand while holding Dusty’s and Matthew’s paws. When she reached the concession, she took out her wallet and told the clerk what she wanted. “Now you two,” she said to Dusty and Matthew stand right here and don’t go anywhere while I pay for the drinks. Dusty and Matthew nodded in acknowledgment but they kept their young minds on all the rides that were at the fair. Suddenly a pink like creature with wings had caught their attention. Dusty and Matthew started to run after the new creature and went behind one of the game stands. When Felicia had turned around and noticed that Dusty and Matthew were not at her side, she dropped the drinks in surprise. “Dusty? Matthew?” she asked still in shock. “Dusty?! Matthew?! Where are you? !” Her eyes started to water up in terror, she took off towards the Zipper ride to where the rest of her friends and Jake were. Meanwhile, Dusty and Matthew had followed the pink creature to the trailer park of the fair grounds. No kat was back in those parts of the fair since everyone was at the fair. Suddenly when Dusty and Matthew turned behind one of the trailer ends, they bumped into a large kat wearing cloak. Dusty and Matthew looked up in horror. The large, scary kat had a cloak and a hood and his fur was purple. He had really scary looking face also. Dusty and Matthew started to tremble and start to walk backwards away from the strange kat. Suddenly the large kat, which was Dark Kat grabbed them by the arms. “Look what I found? More tomkat kittens for Lin Kuei,” he said with glee as he drug them away to a large RV parked in the very back of the lot. Dusty and Matthew were crying and screaming for their mommies, but no one could hear them since no one was there. After he put them in the RV, he got in the driver’s seat and smiled to himself. He had kidnapped 7 kittens for the kat that he ran into earlier that day. His name Lin Kuei he offered Dark Kat a promise that he could not refuse. Lin Kuei had told Dark Kat that if he kidnapped 7 young male kittens around the age of 8 for him, in 10 years, Lin Kuei would give Dark Kat the 7 best warriors that could easily defeat the SWAT Kats. Even though his offer seemed promising to Dark Kat. Dark Kat had also made Lin Kuei pay $50,000 for the job as well. Dark Kat started up the RV and drove out of the fair grounds and back to the place where he would meet Lin Kuei. Jake, Chance and Isis had just gotten off of the Zipper and were making their way to the spot where they would meet Felicia and the kitts. But when they saw her, the smiles on their faces had disappeared. Felicia ran up to them, screaming and crying. Jake ran up to her, when he did, she collapsed in his arms, crying her eyes out. “Licia? What’s wrong? Where are the kitts?” he asked, confused by what was happening before him. “The-they’re gone..Jake, “she managed to say. “I was paying for the drinks, and they must have ran off..and I don’t know where they are…” She broke down into tears again. Jake stood there holding her. “Holy Kats! !” Isis said as she too burst into tears. “My Matthew…” Chance quickly held her. “It will be okay, beautiful,” he said trying to reassuring. Jake looked up at Chance with tears in his eyes. “We’ve have to go to the enforcers’ tents and tell them,” he said. Chance nodded solemnly, his eyes to the ground trying to fight back the tears. “Come on, love. Let’s go,” Jake said as he took Felicia’s paw and led her to the enforcers’ tent with Chance and Isis following. After they reached the enforcers’ tent and reported what happened, they were surprised by what they found out. They were told that they were not the only ones who had missing kittens. The enforcers told them that their kittens were 2 out of 7 who were kidnapped that night. One of the others was Feral’s nephew. The enforcers reassured them that they were out looking for the kittens at the time and that was the only thing that they could do. Later on that night, the fair grounds had closed and Jake, Chance, Isis and Felicia had to leave not knowing where their kittens were and many other parents. The enforcers didn’t know what could have happen but they did find out from of the game owners that he did see some young kittens what appeared to be a pink flying creature but it was hard for him to tell. Jake and Chance knew that had to be a creepling. But they didn’t know for sure and even if Dark Kat did get the kittens; they wondered why would he? A couple of days later after Dark Kat had given the kittens to the Lin Kuei, he realized that one of the kittens that he kidnapped was the son of Ricochet. He grinned to himself and decided to tell the SWAT Kats. At the hangar, Razor and T-Bone were washing the Turbokat when their alarmed sounded. Razor and T-Bone rushed over to the alarm in hopes of some good news about their missing sons. “Yes?” Razor said in high hopes of good information. 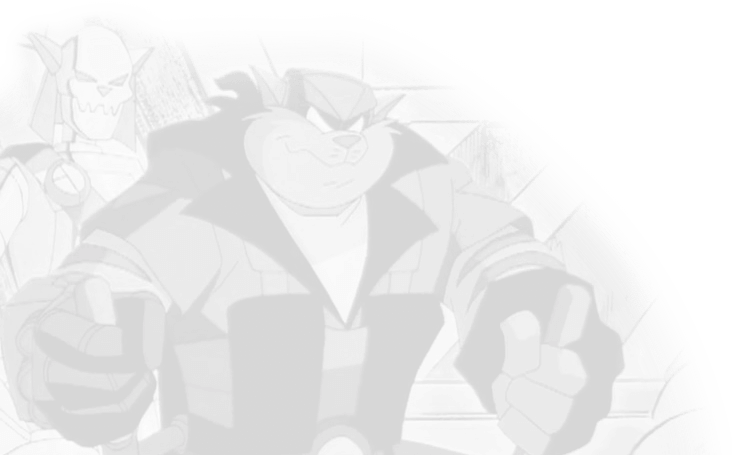 “Hello SWAT Kats,” Dark Kat said menacingly. Razor’s and T-Bone’s ears flattened straight to their heads. “What do you want, Dark Crud?! T-Bone growled through his teeth in anger. Both of them knew now that Dark Kat had to be the one. “Oh..just to tell you, that I did have the son of Ricochet,” said Dark Kat. “You did? !” asked Razor in horror. “What did you do with the other ones that you kidnapped at the fair? !” T-Bone demanded over his partner. “The same thing that I did with the son of Razor,” Dark Kat said grinning. “What’s that? !” both T-Bone and Razor asked. “I killed them!,” Dark Kat said in pleasure. He knew that he was lieing but he knew that they would believe him and that this would halt them from searching and getting wise about the Lin Kuei. 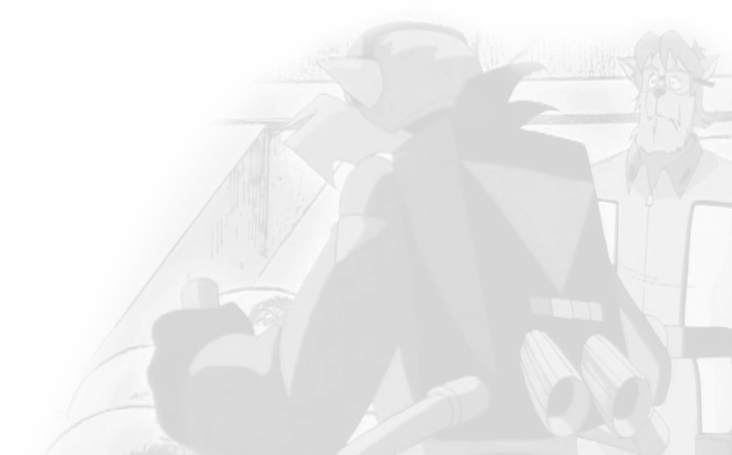 “Why you son of a-,” T-Bone started but he was cut off by Dark Kat’s laughter and the click of disconnection from Dark Kat’s end leaving Razor and T-Bone with dreadful news and their hearts stabbed. “Oh no……,”Razor said softly as he dropped to his knees. T-Bone growled very loud and hit the wall with his fist and then stormed off, cussing under his breath. After Razor saw T-Bone head off upstairs, Razor closed his eyes, there was so much anger in him. Dark Kat killing innocent kittens. Suddenly he couldn’t take it anymore, his anger inside of him was too great for him. He took a deep breath in and then yelled with all of his might, “I AM GOING TO FIND YOU DARK SH*T!! I SWEAR IT ON MY SON’S LIFE THAT YOU TOOK!! I AM GOING TO FIND AND KILL YOU!! DO YOU HEAR?!! !